A huge #THANKYOU to all our clients and partners! April marks our 20th year in business – and you made it possible! So, we would like to use this opportunity to thank you and as a token of our appreciation, you can take advantage of a special anniversary discount of 20% on all our company brands and on selected skin care products. 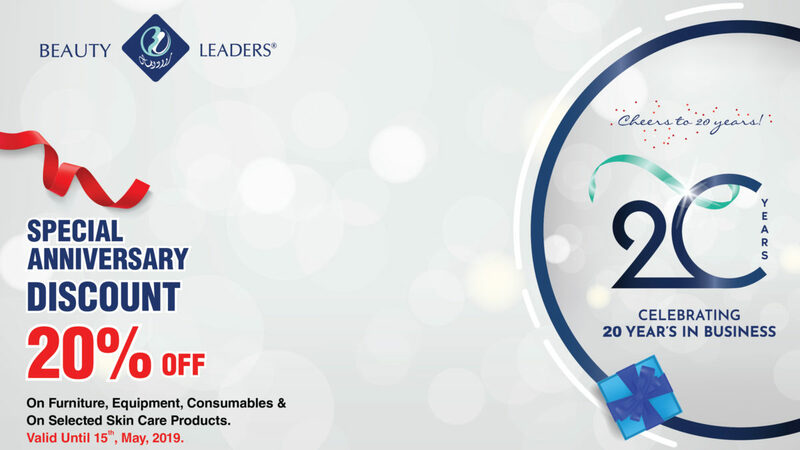 Valid Until 15th, May, 2019.